Home > Beauty Blog > Looking For A New Dentist? 11 Apr Looking For A New Dentist? We all want that beautiful picture-perfect smile that dazzles people from a mile away. Great for winning hearts, enhancing careers and improving relationships – a smile can open many doors and allow a person to reach their potential. Just think back to all of the times you’ve been in a good mood and how this has helped you to achieve your goals – your lovely smile would have definitely helped. But what makes a great smile? Pearly white teeth? Straight and even teeth? A proper bite? We believe all three, and therefore, if you’re looking to improve yours with a dentist who understands both the intricacies of oral and cosmetic dentistry, then look no further than Dr Martin Kinsella. Martin, along with the team at Re-Enhance, will ensure your treatment takes place in a relaxing, friendly and welcoming environment. We understand that some patients suffer from dental phobia or have suffered from bad experiences with dentists in the past. Therefore, we do our utmost to provide the highest standard of care and support for all our clients, placing their comfort and happiness above all else. 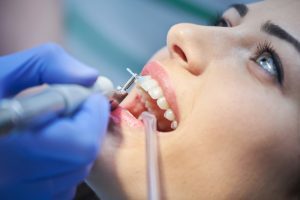 What General Dentistry Options Do We Provide? We offer a good range of options, which include teeth whitening and Invisalign. Recommended by dental professionals, we use Zoom NiteWhite to make your teeth up to eight shades whiter. 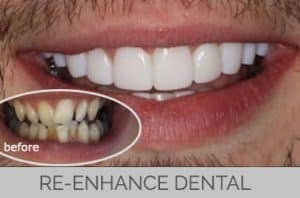 We create a custom-fit whitening tray for you, which fits the contours of your teeth perfectly ensuring you get the same results across your entire smile. Your teeth whitening kit includes 6 syringes which usually lasts up to 3 weeks. 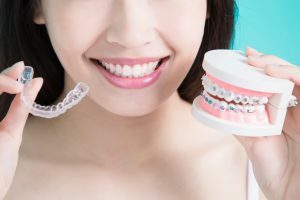 If you’re looking to straighten your teeth without the noticeability of braces, then Invisalign is a great alternative. These aligners are custom-made to move your teeth little by little, minimising discomfort and embarrassment that other options can entail. We’ll regularly monitor your progress and provide you with new aligners as and when necessary, leaving you with a smile that will be the envy of all your friends. Scale and Polish – £50. Important for dental hygiene, this quick procedure simply removes plaque, tartar and gives your mouth a good clean. 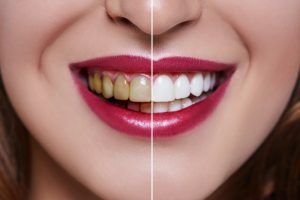 The teeth will also be polished, removing any stains or discolouration. Crowns and Root Canals – £500-£600. We can help to restore damaged or decaying teeth, ensuring a natural result that leaves people none the wiser. Our treatments are always preceded by a thorough consultation, which details your options and helps you to decide what is right for you. WHY CHOOSE DR MARTIN KINSELLA? Dr Kinsella is one of the UK’s most sought-after aesthetic and dental practitioners due to his extensive knowledge, experience and qualifications. Placing patient safety and care at the core of his business, he ensures that his clients feel listened to, and are given the best treatment possible. Being dual-qualified as both a doctor and dentist means he is an expert in the procedures that he and the team carry out. He would never perform a treatment he didn’t feel was right for the patient, and instead offer guidance on what could be a better option. If you’re looking for a new dentist, then we encourage you to call us today on 0161 941 3212 to learn more about our range of options that are sure to put a smile on your face.